Sulton holds a master's degree in economics from the University of Wollongong in Australia, and a graduate diploma in development economics from the Australian National University. 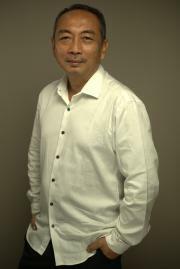 He also holds an undergraduate degree in agricultural economics, majoring in agribusiness, from Bogor Agriculture Institute (Institut Pertanian Bogor). Prior to joining SMERU, Sulton worked as a researcher for the Centre for Policy and Implementation Studies. He also worked as a consultant for a number of projects in the agricultural and manufacturing sectors.